Contrary to popular belief, rain does not clean your car! In fact, it is doing the exact opposite. 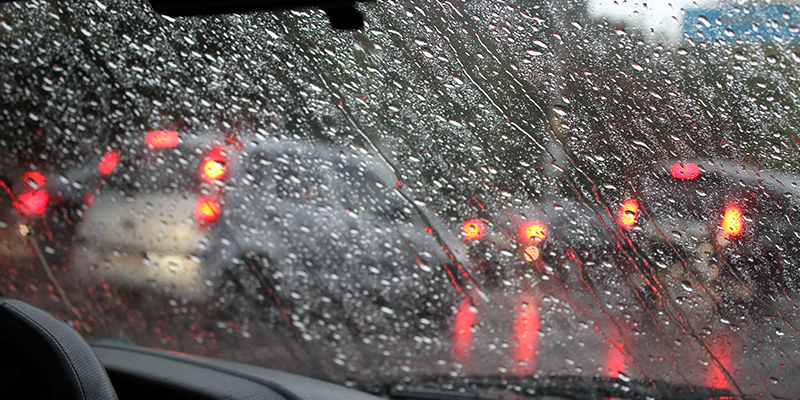 Rain has a slight amount of acid in it which can damage your car, especially your windows and paintwork. Which mean, whenever it rains, you need to get that rain off your car. If left unwashed, rain will wear away at your car’s coating, leading to rust and costly repairs. This is especially true for any car’s that have scratches or a dent in their body. Rainwater finds its way into these scratches, wearing away at the paint and leading to larger chips. Rainwater is a powerful thing when it comes to your car, it contains many contaminants and types of dirt that are just no good for your exterior. A simple car wash after any rain fall will go a long way to keeping your car not only looking fresh, but staying fresh for much longer. Plus, if you’re the type of person that likes a spotless looking car, rainwater will always leave behind watermarks. You can easily wipe these off, but as we explained a full-service soapy hand car wash is always the preferred option to remove its contaminants and dirt from the surface of your car. car back in within 7 days of your wash and receive a complimentary ‘Exterior Wash’! As an added bonus, you can enjoy your car wash at any of Hoppy’s conveniently located Gold Coast and Brisbane car wash and café locations, and enjoy some great food and drinks while we take care of your car for you. Getting your car cleaned and removing that unwanted rainwater has never been easier. Simply, drive into one of our car washes and drive away clean.